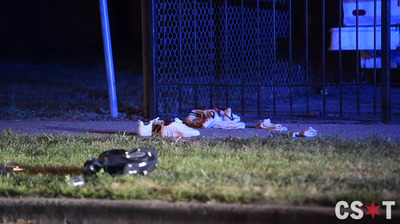 Screenshot/Chicago Sun-TimesBloody shoes are seen at a homicide scene in Chicago where four people were shot on Sunday, including three teenagers. Chicago experienced one of the most violent weekends of the year, with 11 people shot dead and 63 more wounded between August 3 and 6. Thirty people were shot in three hours early Sunday in Chicago. There have been 339 homicides in the city so far in 2018, with 285 people killed as a result of gun violence. Chicago experienced one of the most violent weekends of the year, with 11 people fatally shot and 63 more wounded between 3 p.m. Friday afternoon and 6 a.m. Monday morning, according to the Chicago Tribune. In one three-hour span early Sunday, 30 people were shot, with five mass shootings of three or more victims accounting for 25 of the casualties, according to the Chicago Sun-Times. 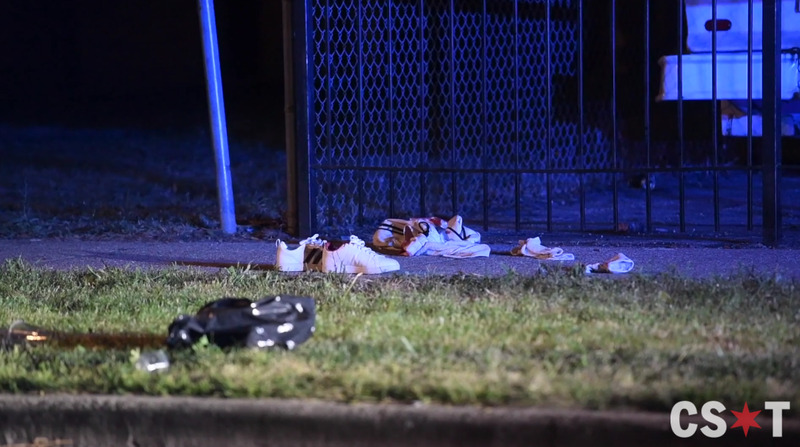 Two people were killed and 28 were wounded between midnight and 3 a.m., including at least 12 teenagers, one of whom was shot in the head and killed, the Sun-Times reported. According to police, the shooting with the most victims left eight people wounded in a South Side neighbourhood after a group of men walked up to the eight people standing in a courtyard and opened fire, the Sun-Times reported. Four of the victims were teenage girls; all were expected to survive. Less than two hours later, six more people were shot, including five teenagers, when two men walked up to a group of people on a footpath in a Southwest Side neighbourhood and started shooting, the Sun-Times reported. Four more people were shot in a separate shooting at a block party in the same neighbourhood of Lawndale just a few hours earlier, the Sun-Times reported. Three of the victims were teenagers, with the youngest age 13. Dozens of people grieved on Sunday morning outside of Stroger Hospital, one of Chicago’s busiest trauma centres, the Sun-Times later reported. 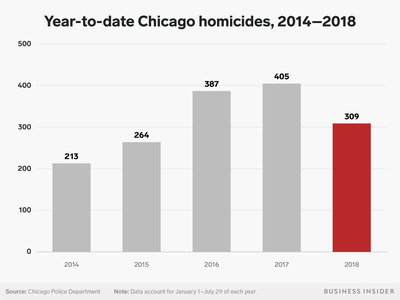 So far in 2018 there have been 339 homicides in Chicago; 285 of those people were killed by gun violence.